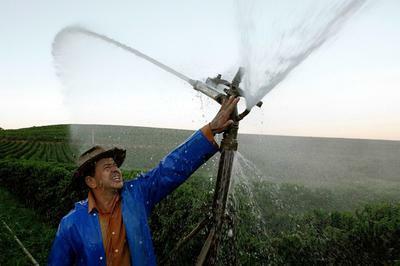 Brazil Drought Jolts Commodities' Prices from the WSJ. The drought in Brazil this season (Summer in Brazil 2014) is extreme and unprecedented, reportedly the worst drought in decades. The weather patterns that have created torrential rains and hurricane force winds in Wales, 'polar vortex' chilling temperatures in parts of the U.S. is also creating these unprecedented conditions in Brazil. While its true that crops affected, including sugar and coffee, will have an effect on commodity prices, I can't help but feel how our world is manifesting the signs of global change, where what we have always known to be true in our locales is no longer the case. We must tend to the earth; be willing to make the sacrifices when needed for the good of the whole of which we, and every other being on earth, is a part.